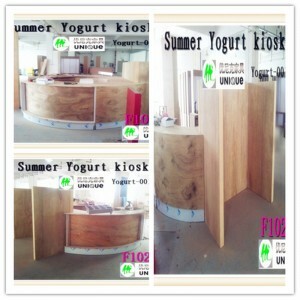 Warm welcome visit our yogurt kiosk. 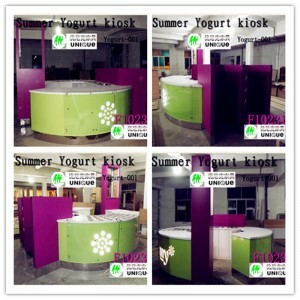 Main material plywood, laminate , acrylic Logo, tempeter glass. 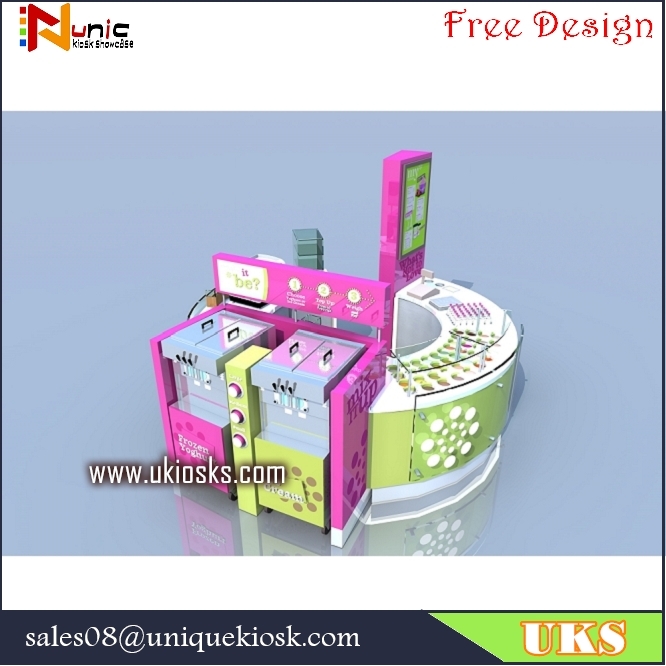 usage yogurt kiosk in mall or shopping mall. 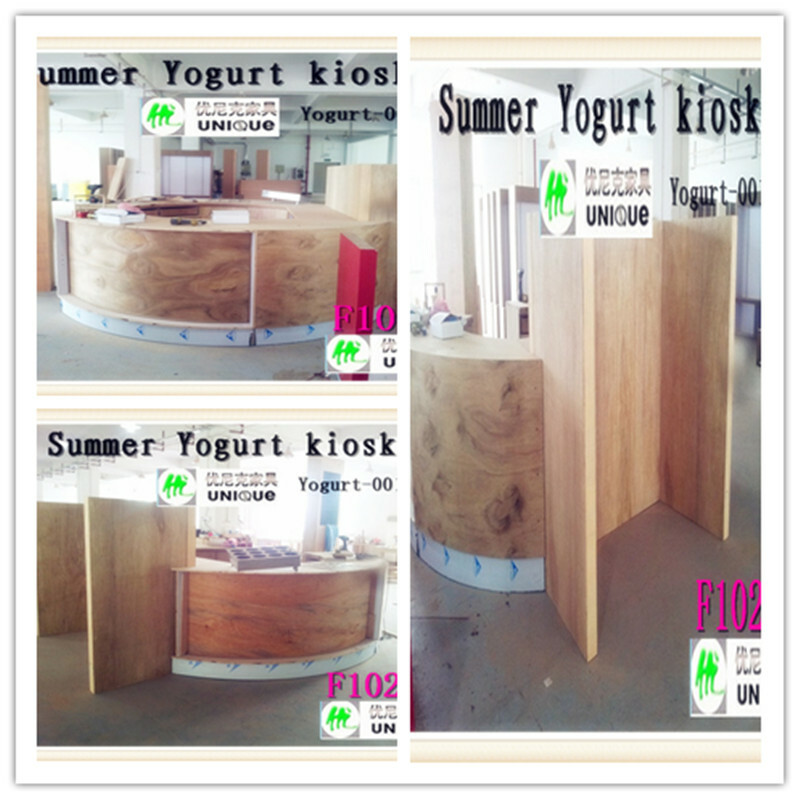 packing this yogurt kiosk + foam inside + wooden box outside. This is a yogurt kiosk, mainly material is plywood, laminate finish, stainless steel skirting, acrylic logo, light box with your menu,glass display showing, artificial stone work table, round stainless steel topping for showing your yogurt. if you need can with a sink. 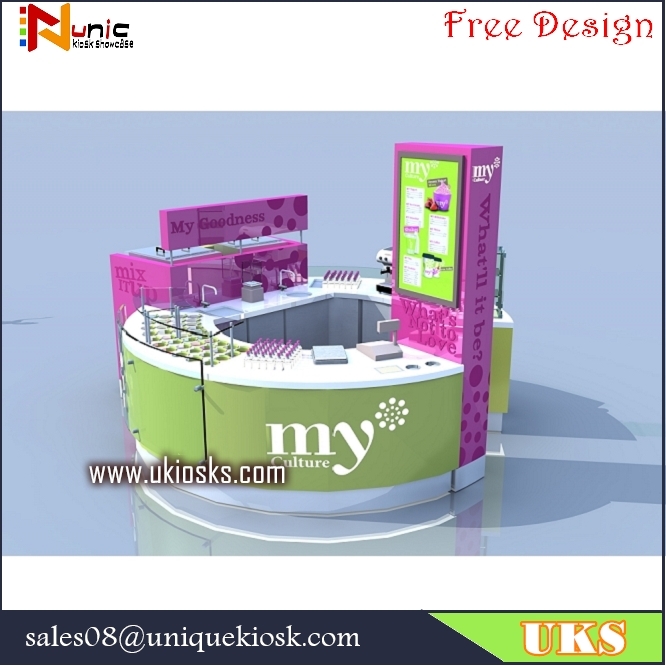 Step1:You need send me the floor plan of your store or mall kiosk location,or tell me the size of store or kiosk, but floor plan will be better for us. 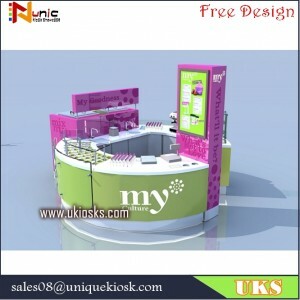 Step 2: Let me know, the main color of kiosk store you want,or you can send me many pictures which could showing what color you want. counter ,and so on we building. Step 5 :The initial design will be finished in 3-5 working days after receiving your payment and be sent to you for your approving . Step 7 :Design is approved by your mall.